Prerelease - Samples available PQB Series of regulated and isolated quarter brick DC/DC converters range from 50W up to 150W with from 2:1 up to 12:1 inputs. Operating temperature from -40C up to 100C combined with conduction cooling enables the use of PQB converters in various industrial, transportation and telecom indoor and outdoor applications. 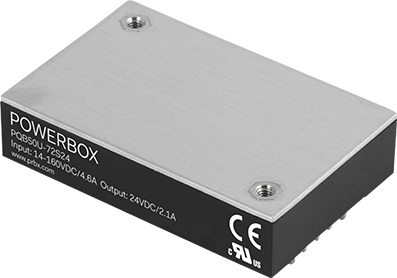 PQB50U-72S Series is ultra wide 12:1 input version of the quarter brick offering. It is usefull for various multi bus voltage applications. 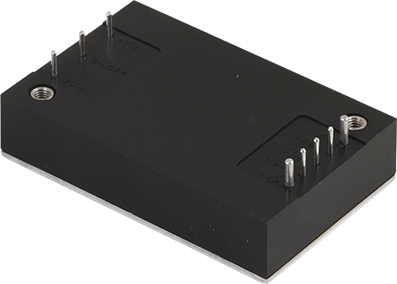 PQB50-72S input voltage range of 14-160V covers all EN50155 bus voltages with one single unit. It also covers all industrial, transpoirtation and defense bus voltages from 24V up to 110V systems.